Did this basically in one take, I think it turned out pretty good. 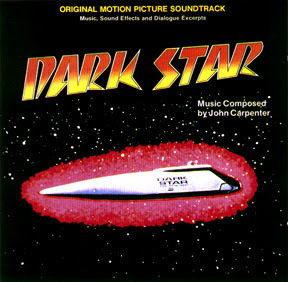 The intro/outro is from the John Carpenter LP shown above -- weird record, it's the entire audio track (music, dialogue, fx) from one of his early sci-fi movies. The rest is mainly a type of dance music that doesn't have a name that fits .... "minimal" has been the accepted term for a couple of years now, I guess, but tunes like Riton's "Hammer of Thor" (probably my favorite song at the moment) are way too anthemic to fit that description. These are all 12"s from 2006-07 except for the Carl Craig, Berg & Blender, and Westbam. Hope you like the mix. Listen loud.